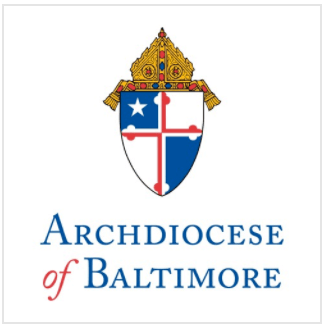 Each year, Catholic schools in the Archdiocese of Baltimore save Maryland taxpayers over $380 million in per pupil expenses and provide an additional $393.3 million into the local economy in income and revenue, economist Anirban Basu told a group of business and community leaders today. Basu delivered his findings at an event hosted by Archbishop Edwin F. O’Brien, Archbishop of Baltimore, held in downtown Baltimore this morning. The independent study of Catholic schools in the Archdiocese that Basu conducted last year cited a favorable comparison in Catholic schools’ graduation rates over those of public schools, noting double-digit increases for students across all ethnic and socio-economic backgrounds. The largest increase in graduation rate was found among students in urban settings, where Catholic schools had a graduation rate 17 percent higher than their public school counterparts. The disparity in college attendance was also highlighted in Basu’s report. While 47.6 percent of Maryland high school seniors went on to attend a four-year college in 2009, over 81 percent of Catholic school graduates entered a four-year college. He also noted that Catholic high schools in the Archdiocese graduated 100 percent of its seniors, with a full 97 percent entering either a four-year or two-year college. The study also reported that Catholic school graduates earned a total of $114.1 million in financial awards in scholarships following the 2008-09 academic year. Basu also calculated projected lifetime earnings for Catholic school graduates versus students in the public school system. He determined that over a 10-year period, the total number of Catholic school graduates over that time period will earn $5.2 billion more than the same number of students graduating from public schools. “Catholic school graduates can expect to earn roughly $225,000 (in 2008 dollars) more than their public school counterparts,” Basu added. Among other findings, the report concluded that Catholic school students produce higher test scores, support more jobs, income formation and business sales in the broader economy, and are more likely to emerge as societal leaders and organizers. It also noted that Catholic schools are capable of stabilizing older communities and their presence is of disproportionate benefit to older and lower income communities. The full report can be found at www.archbalt.org/aplacetogrow.